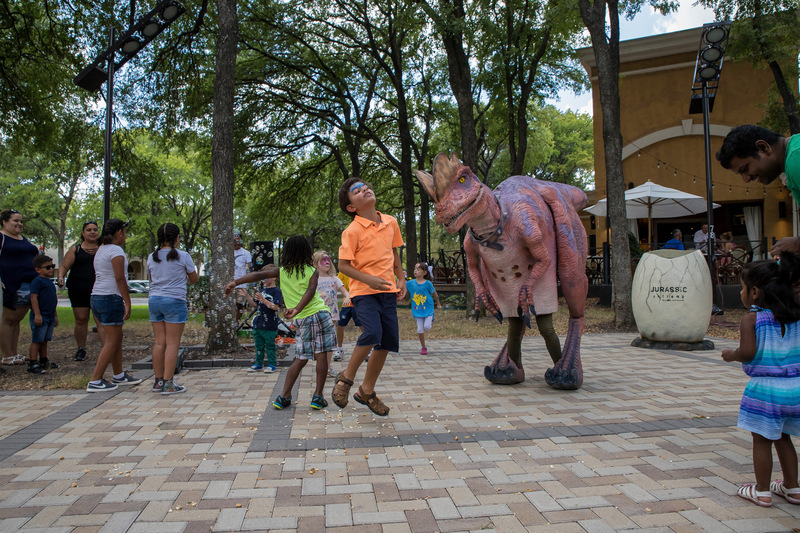 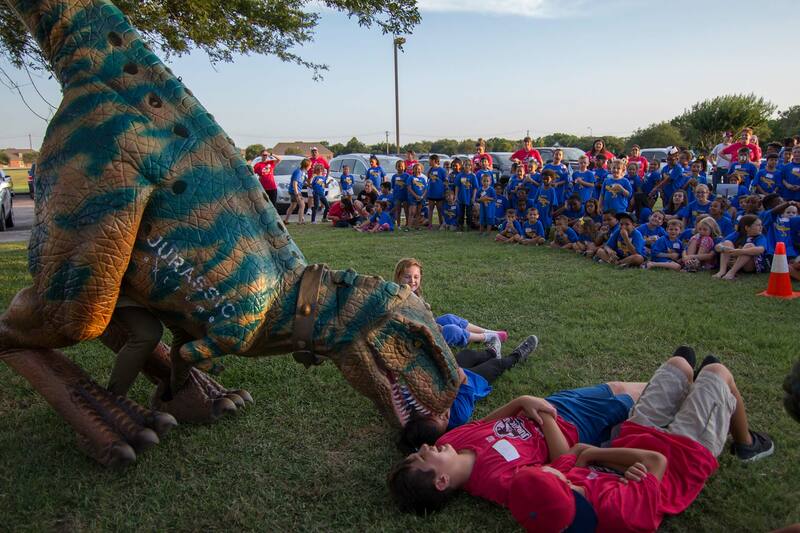 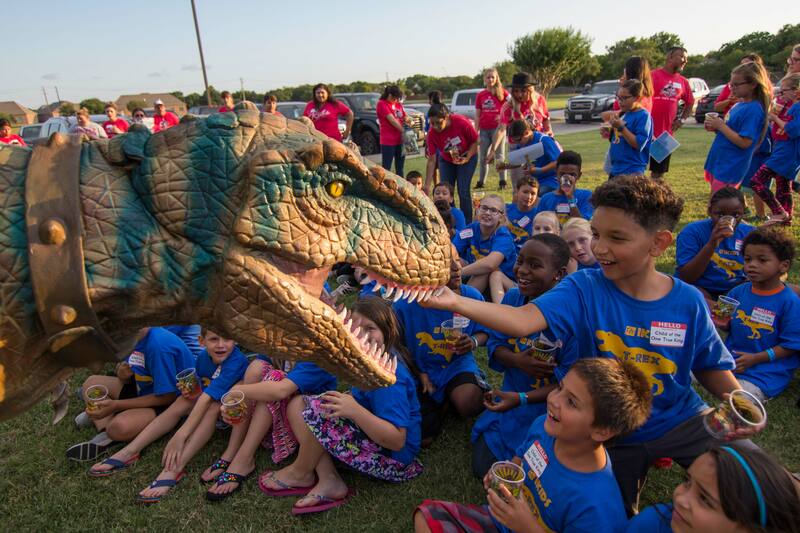 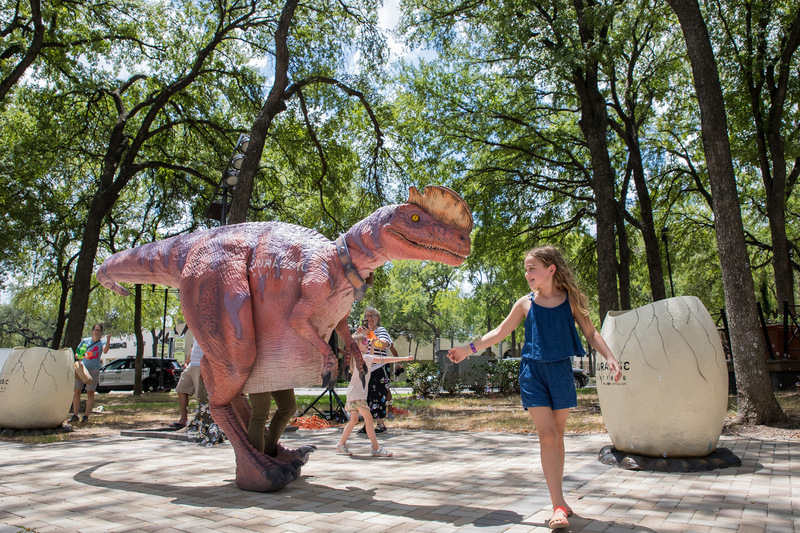 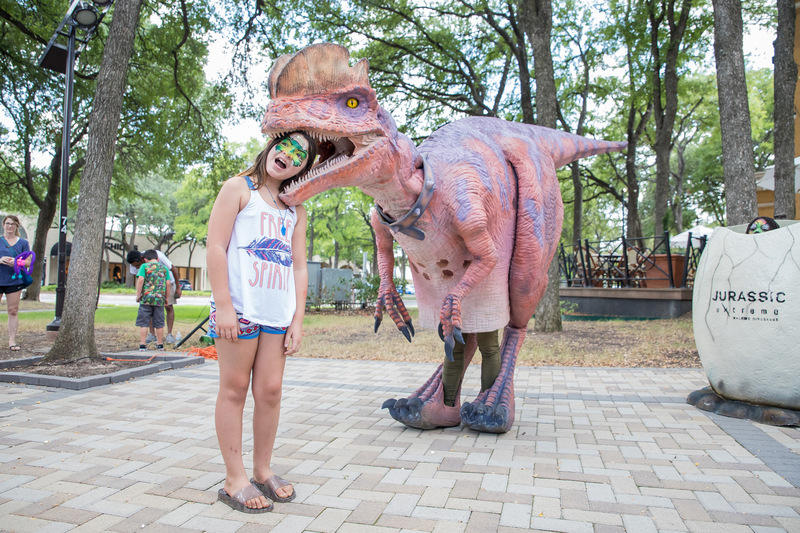 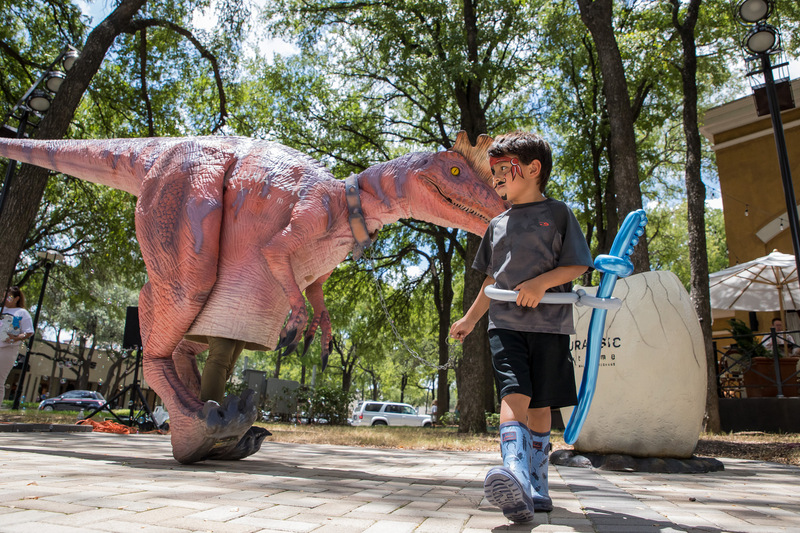 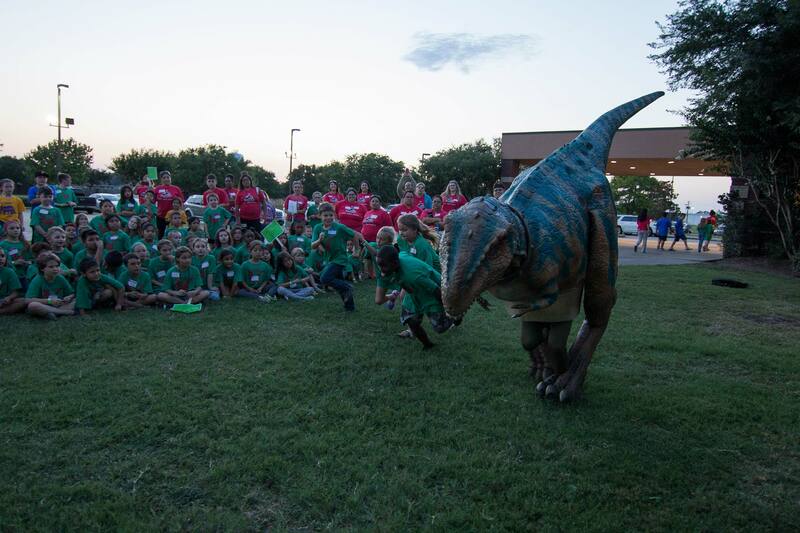 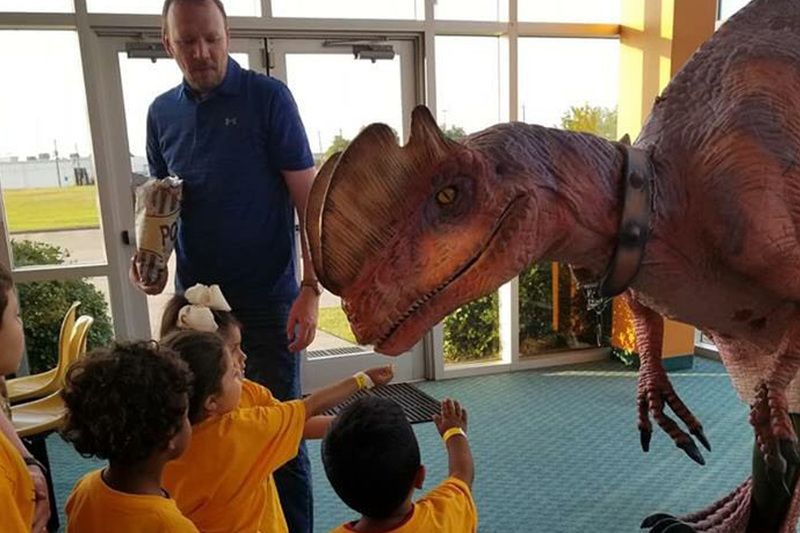 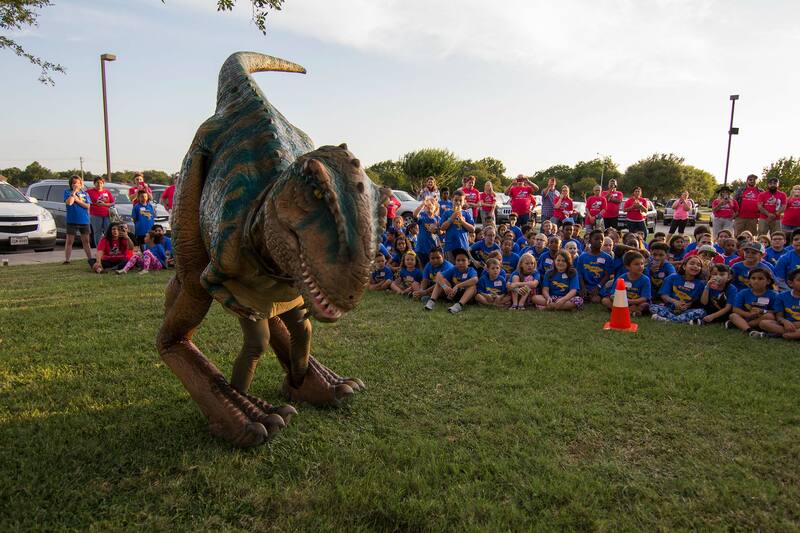 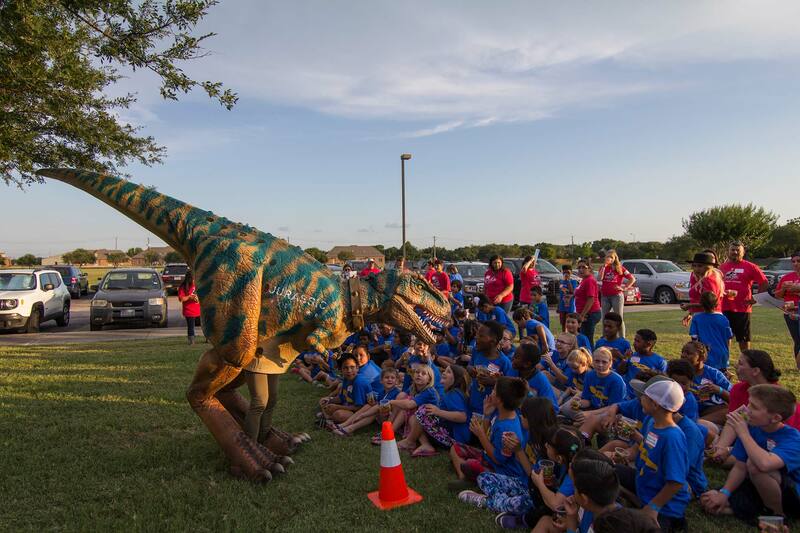 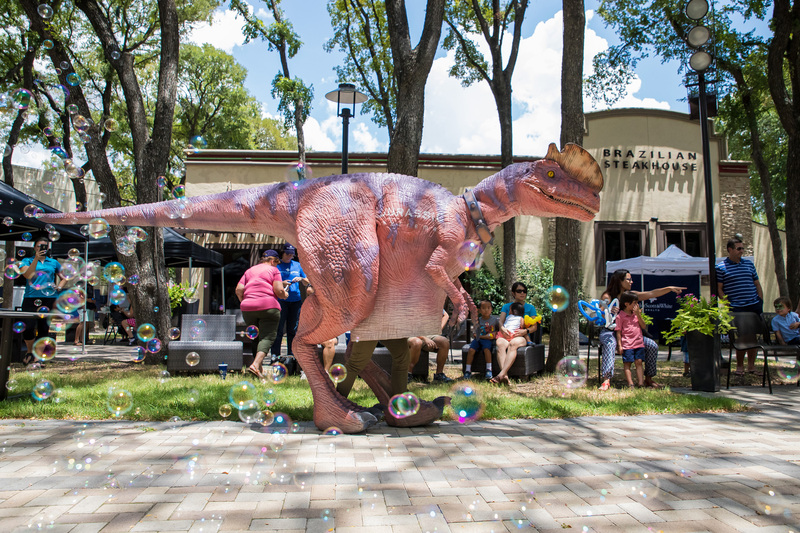 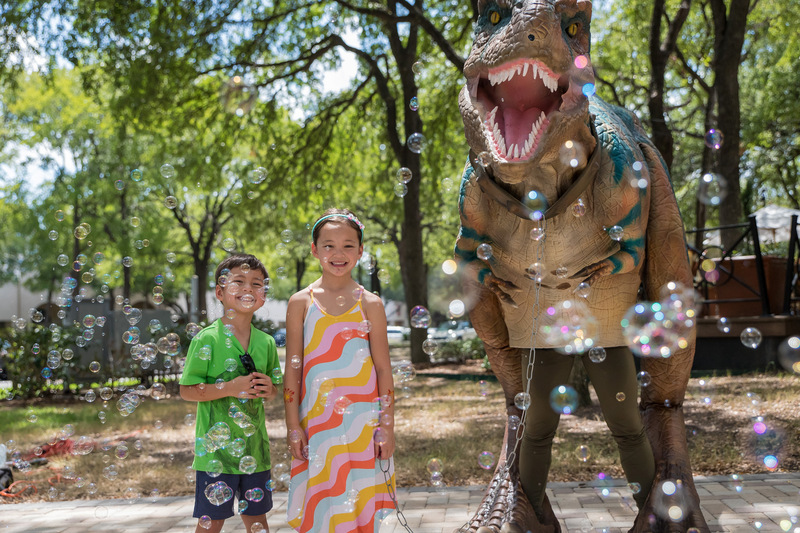 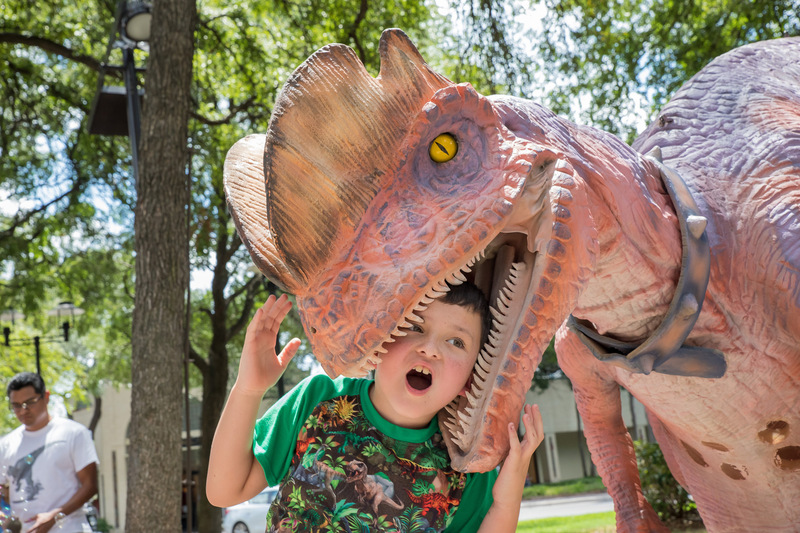 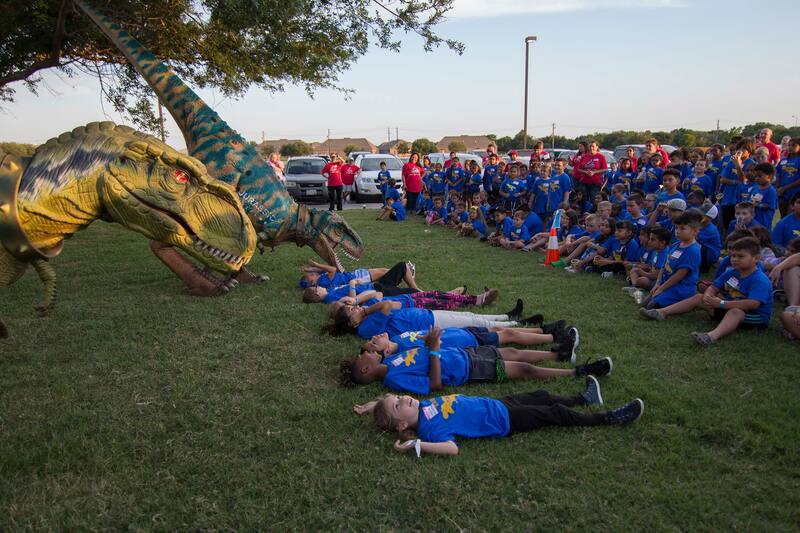 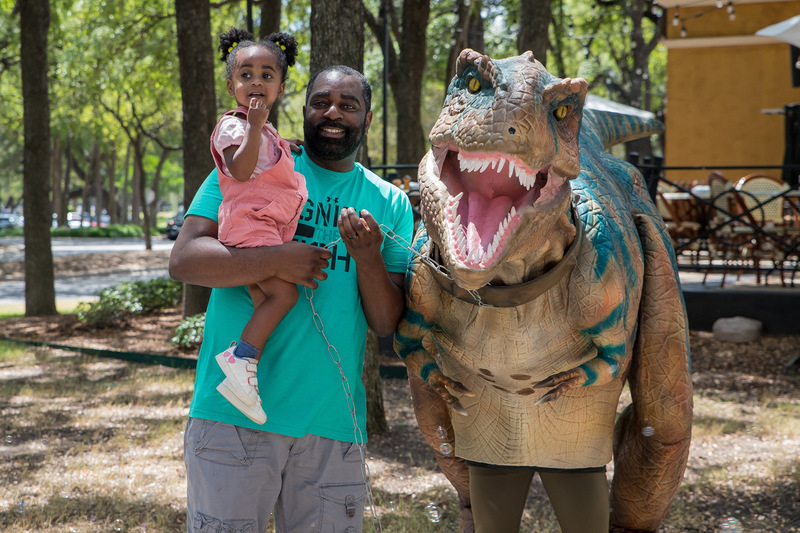 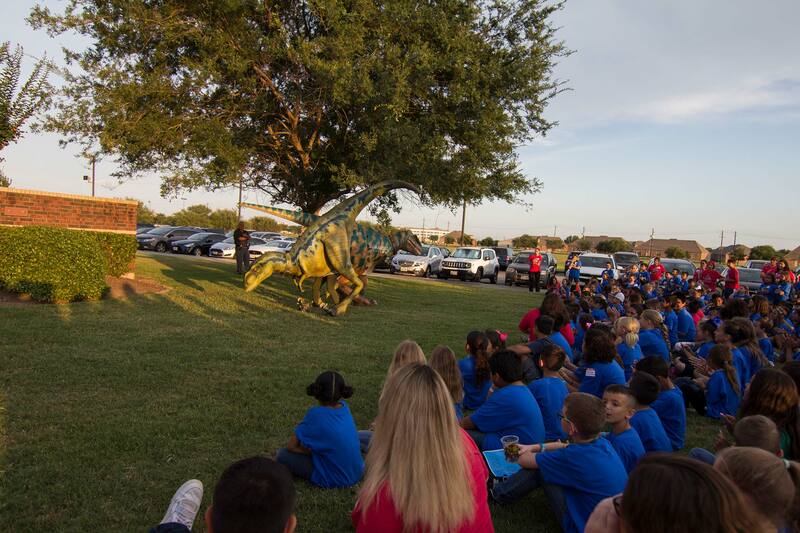 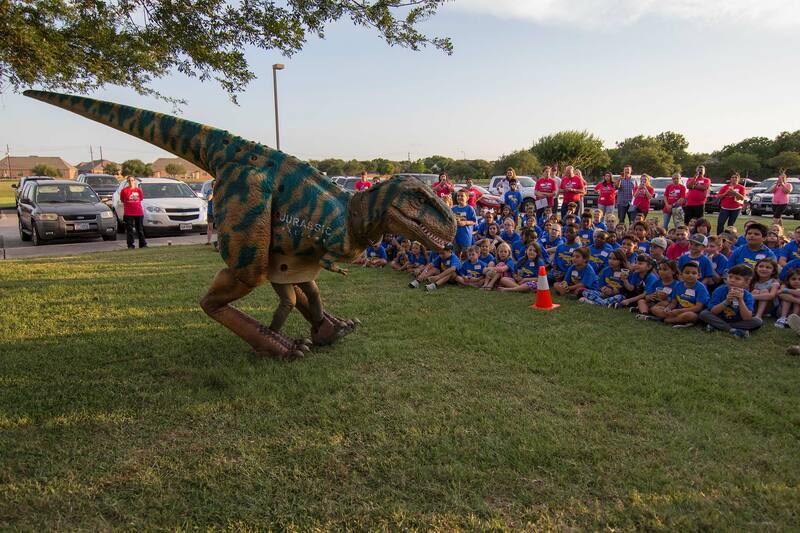 We traveled to Lake Jackson for Family Life Church’s Jurassic World VBS event. 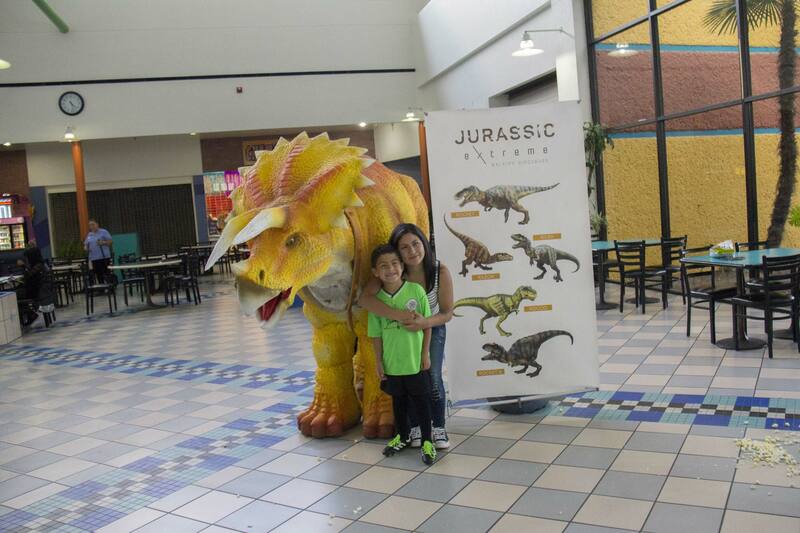 We brought along with us Rocket, Riley and Reese. 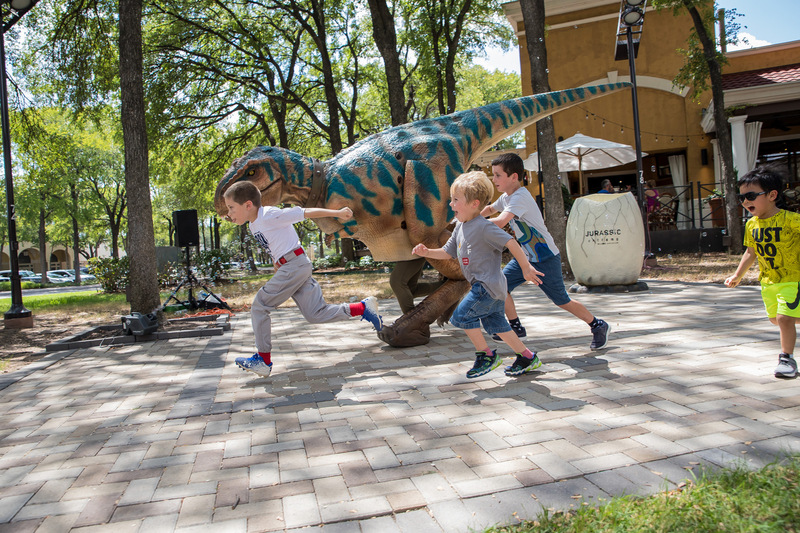 All 3 walking dinosaurs were excited to know that they would be providing entertainment to over 700 dino fans. 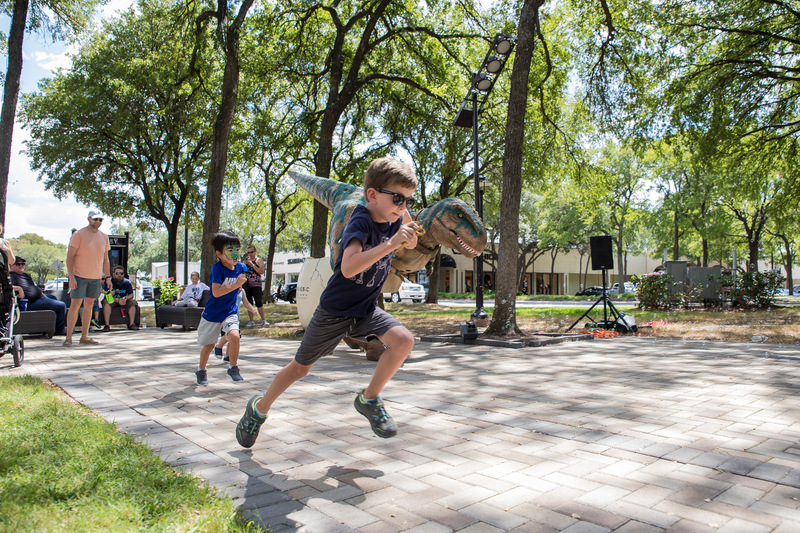 Rocket and Riley danced, raced and tickled the older kids outside the church while younger ones got to feed Reese popcorn inside. 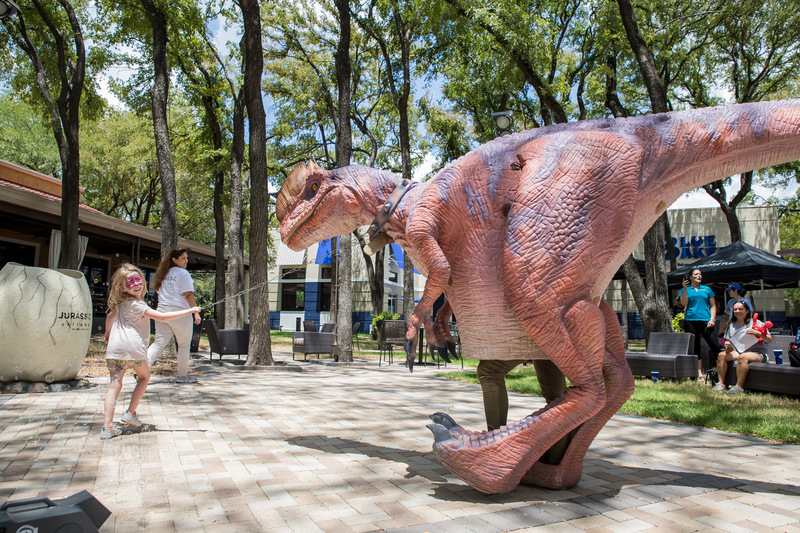 What happens when you get a Trex and Velociraptor together? 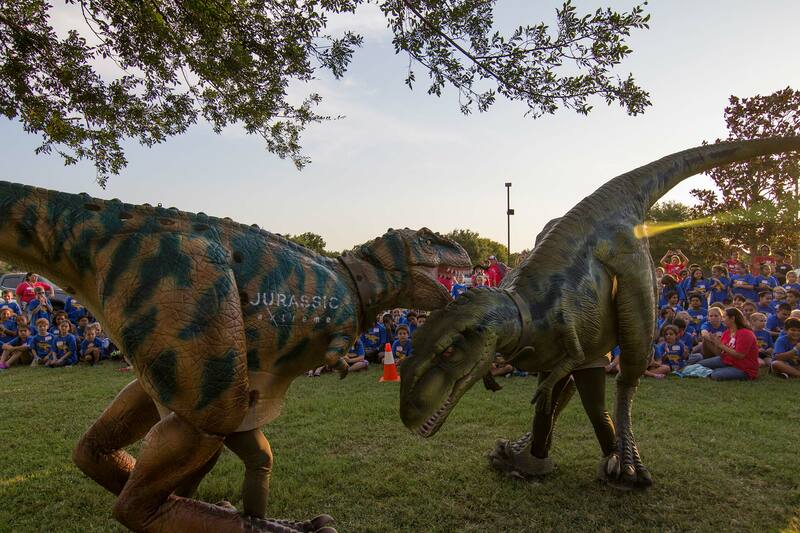 You get to witness a friendly dino match. 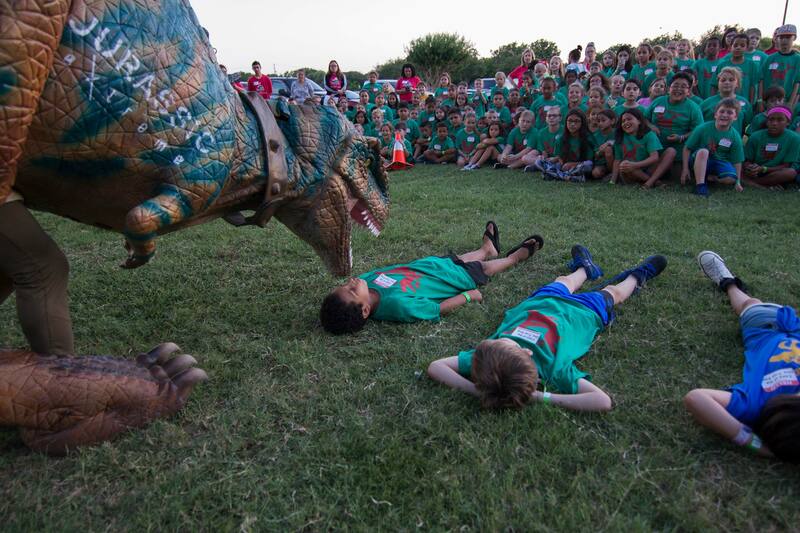 Both Rocket and Riley won a match out of 2. 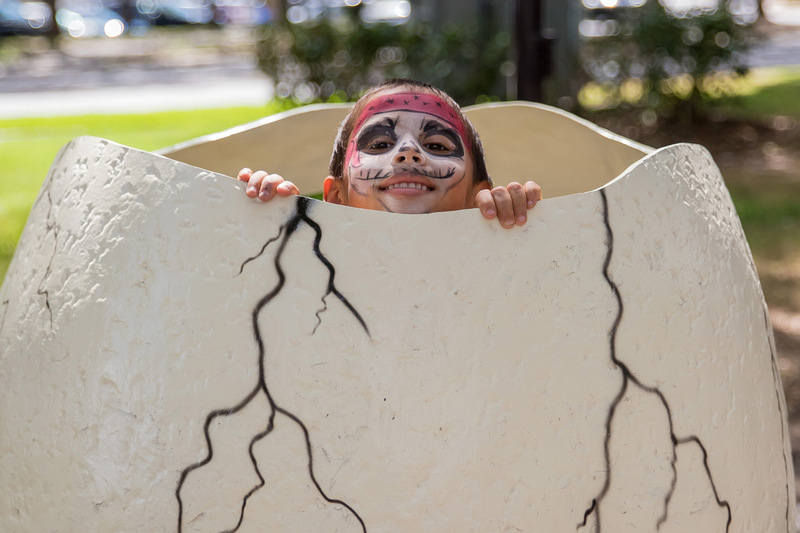 We had an amazing time and hope to be back for their Halloween event later in the year! 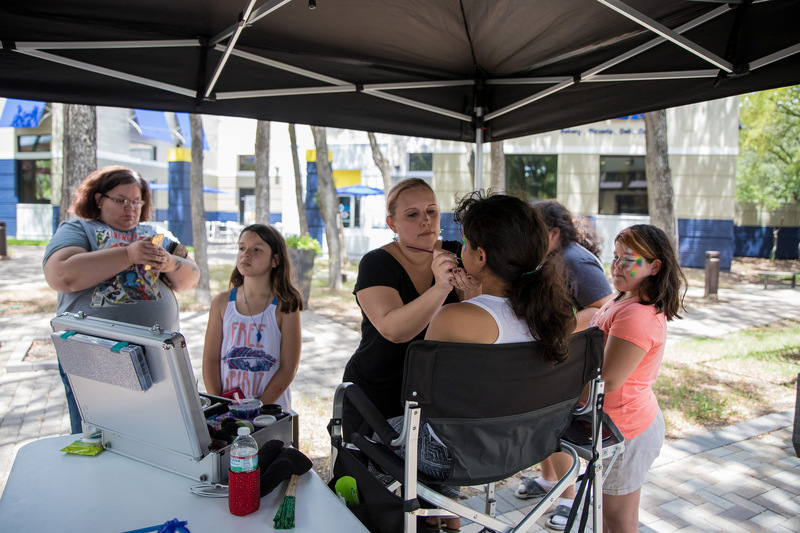 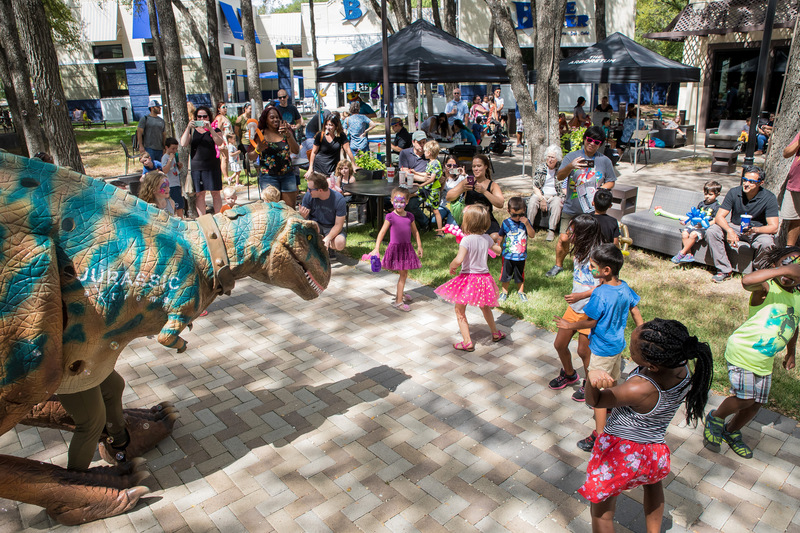 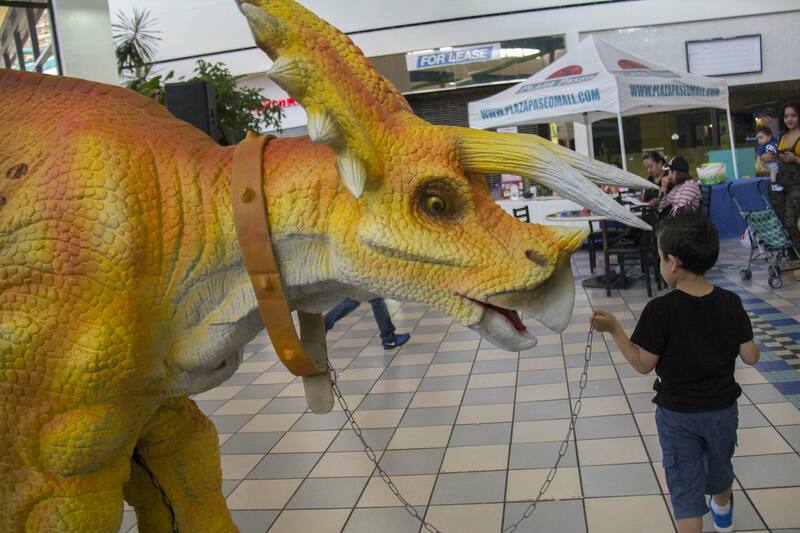 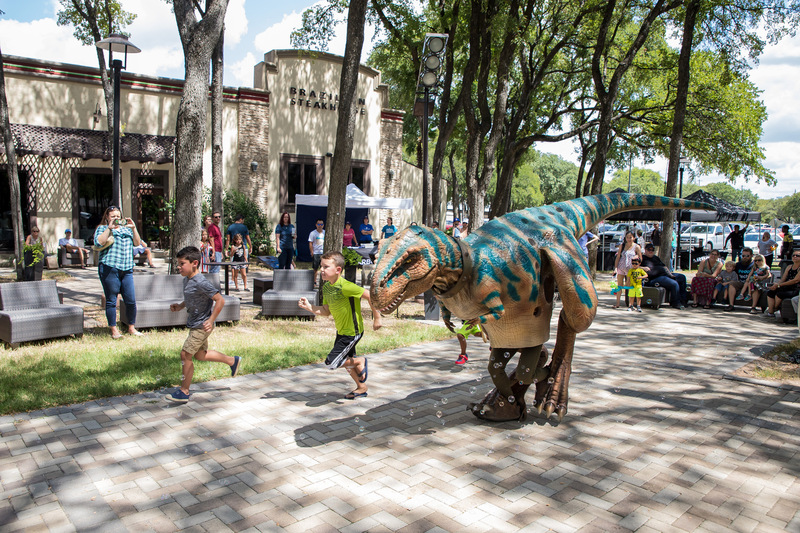 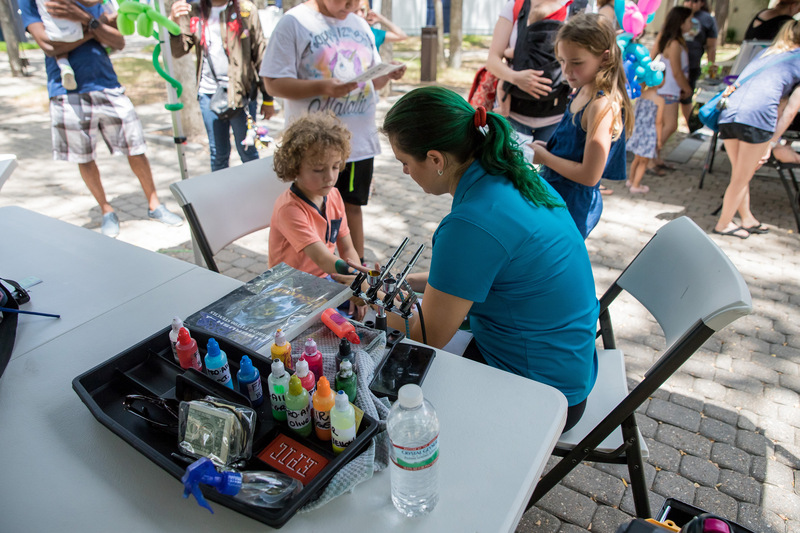 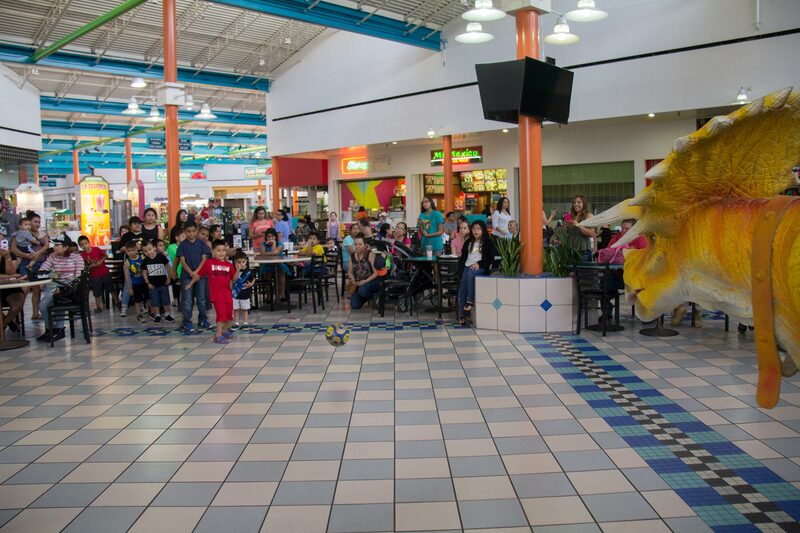 Plaza Paseo at Pasadena Mall had us back for their monthly family festivities on the afternoon of April 28th. 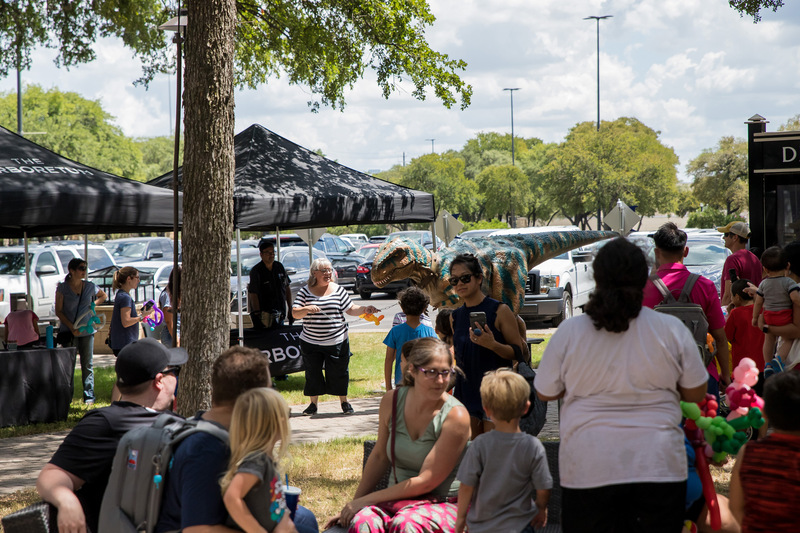 For those of you that may not be aware, we have been invited to attend the last Saturday of every month. 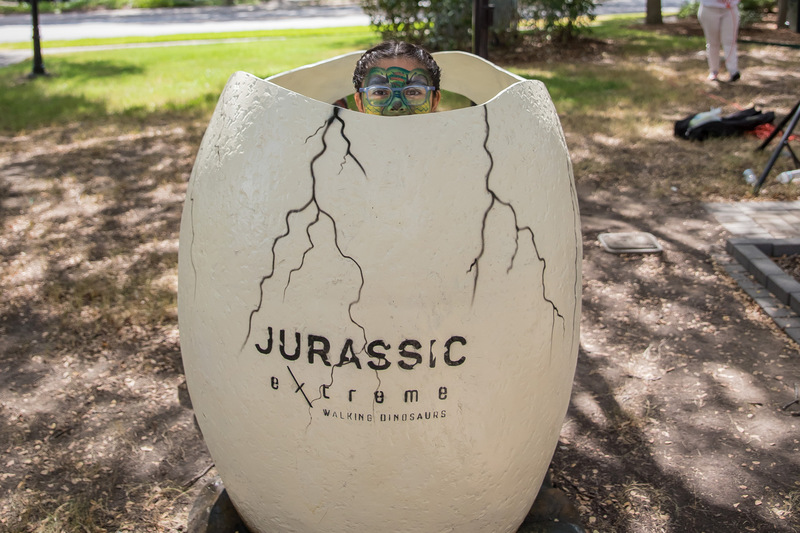 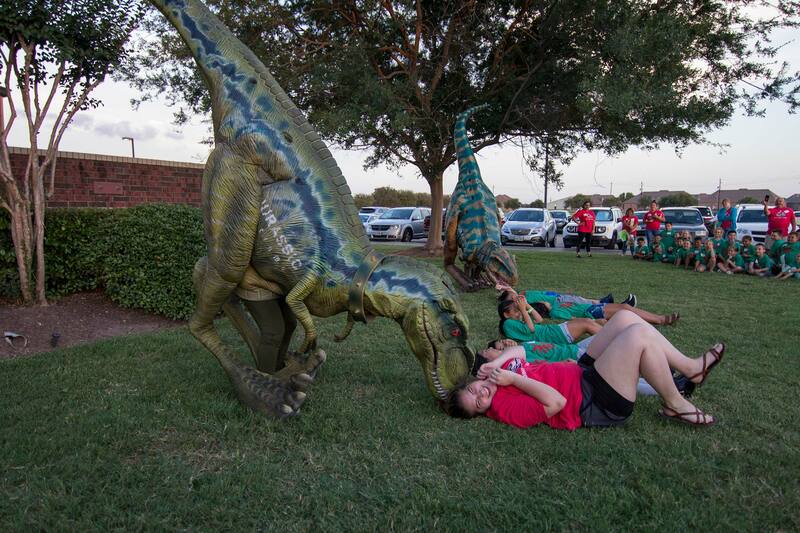 Jurassic Extreme always likes to keep our kids guessing, so they never know what to expect when our dream team shows up at their event. 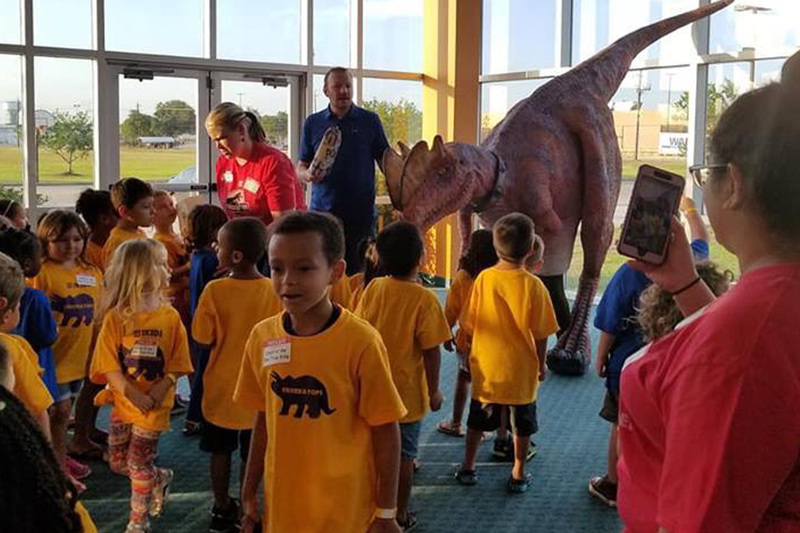 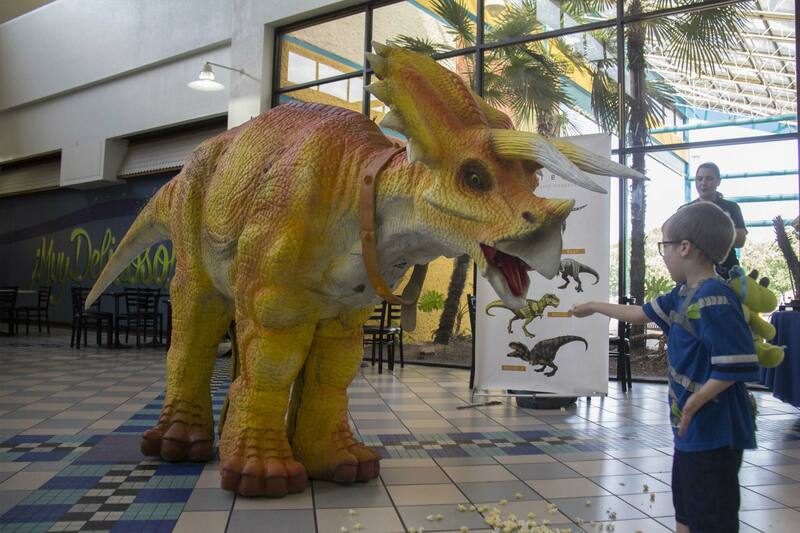 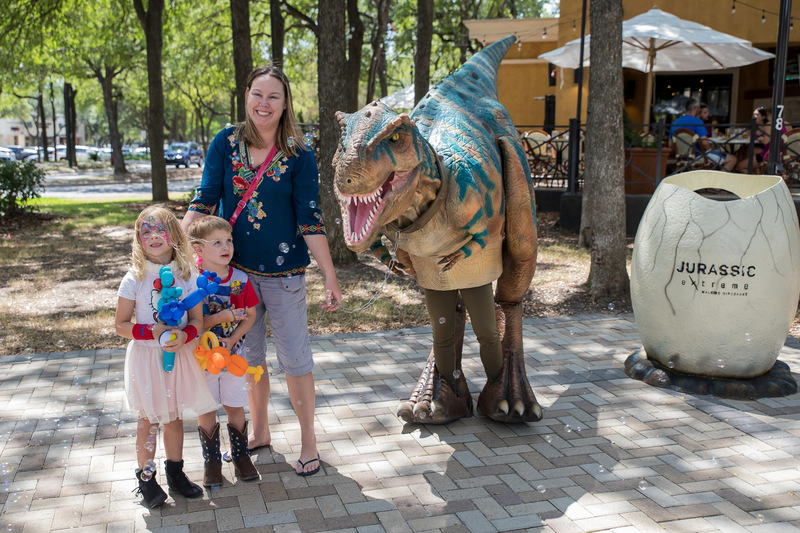 This time we decided to blow the kids away with a special guest they hadn’t seen before, so we brought Ramsey, the Triceratops of our dinosaur crew! 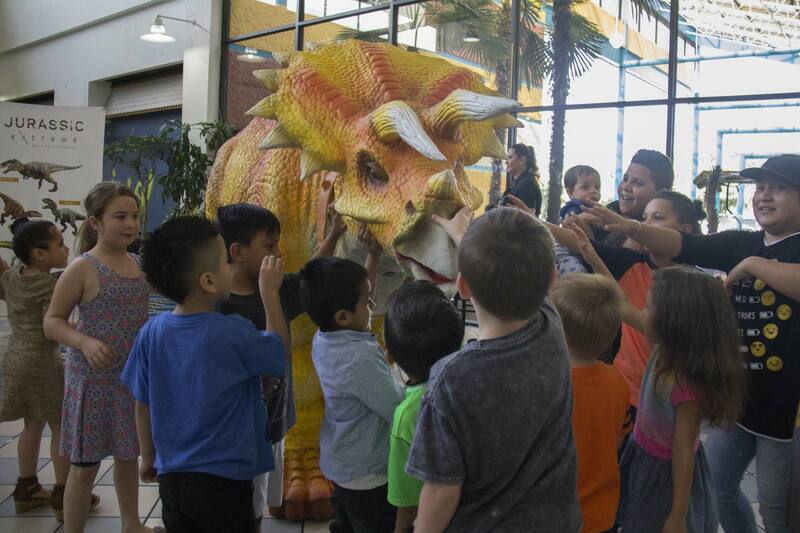 And our surprise paid off because all the kids stared in awe as we were walking in the mall’s front entrance with Ramsey. 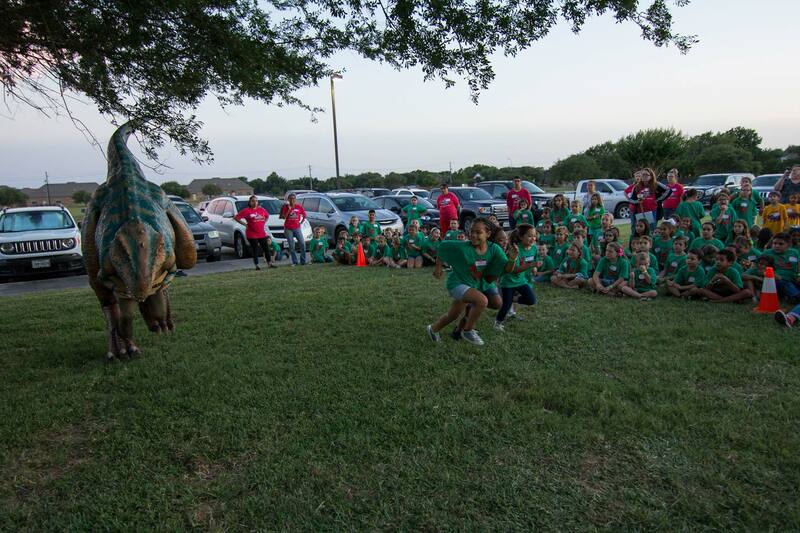 We gave everyone the chance to come up and meet him and even pet him if they were brave enough. 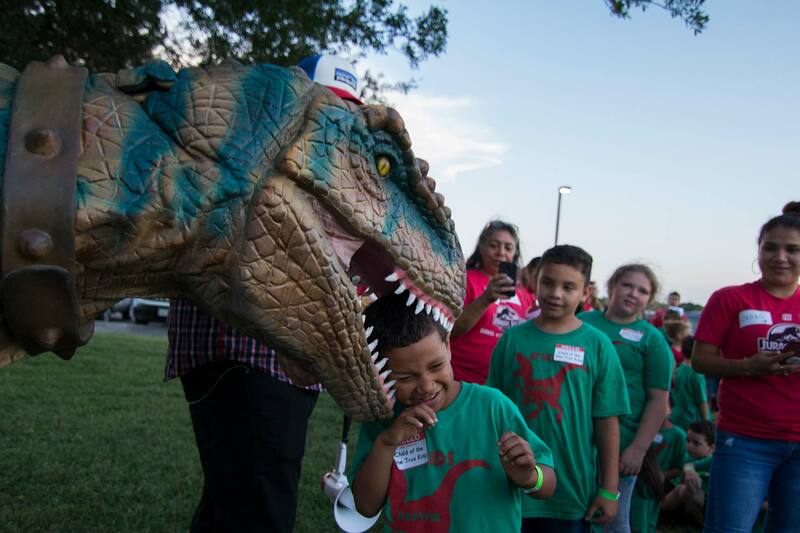 Since we had DJ JoJo with 104.9 Latino Mix playing great songs, we decided to let Ramsey give the kids a dance show as well as letting them dance along with him. 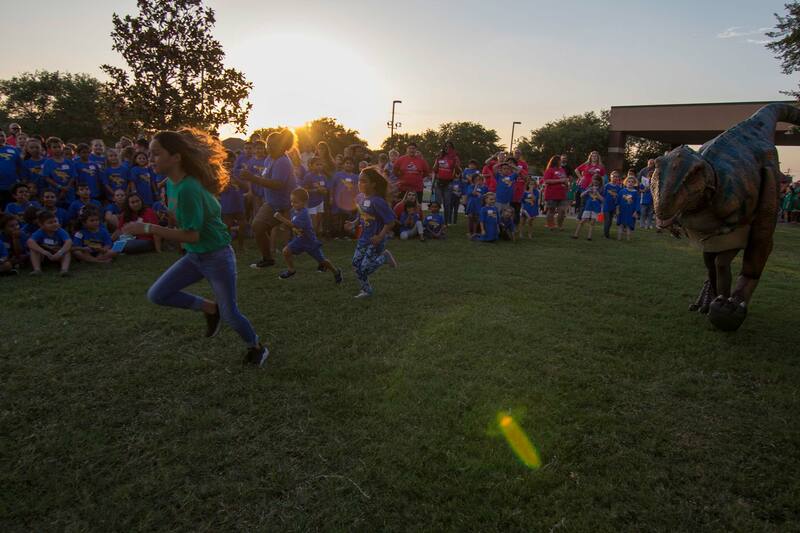 We also changed things up a bit and each child had a one on one game with Ramsey playing soccer. 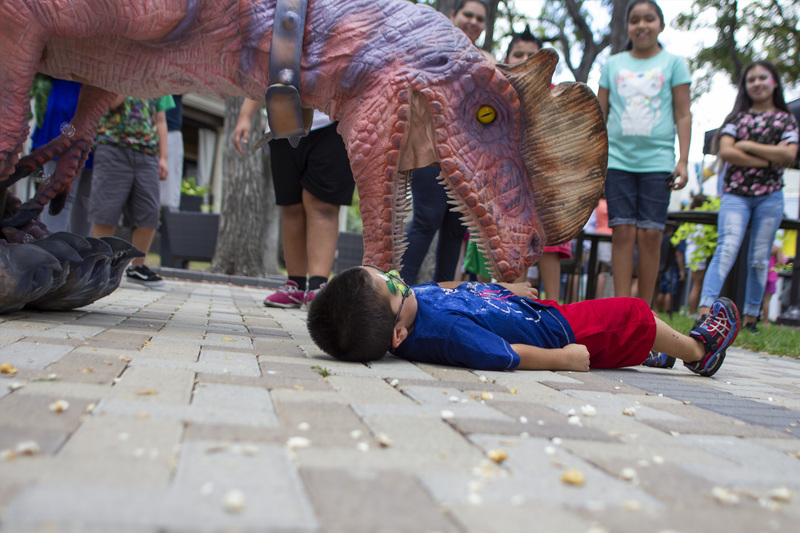 Of course, no Jurassic Extreme event would be complete if our guests didn’t get to feed our Triceratops Dino-pop by hand. 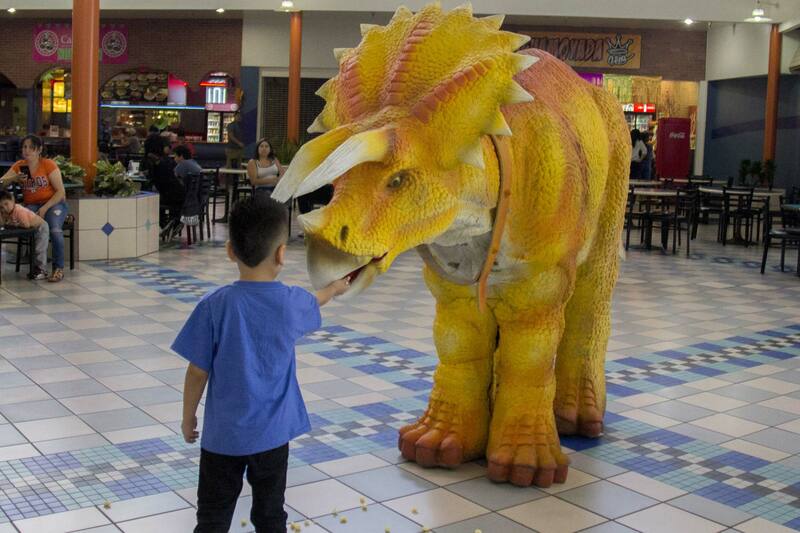 You can only imagine how much a dinosaur of that size can eat! 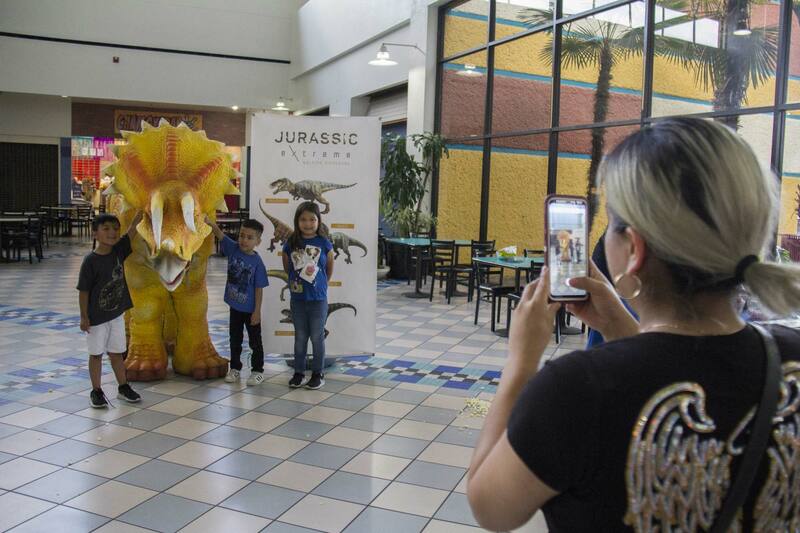 Next were the photos and everyone was eager to come up and take a picture with Ramsey. 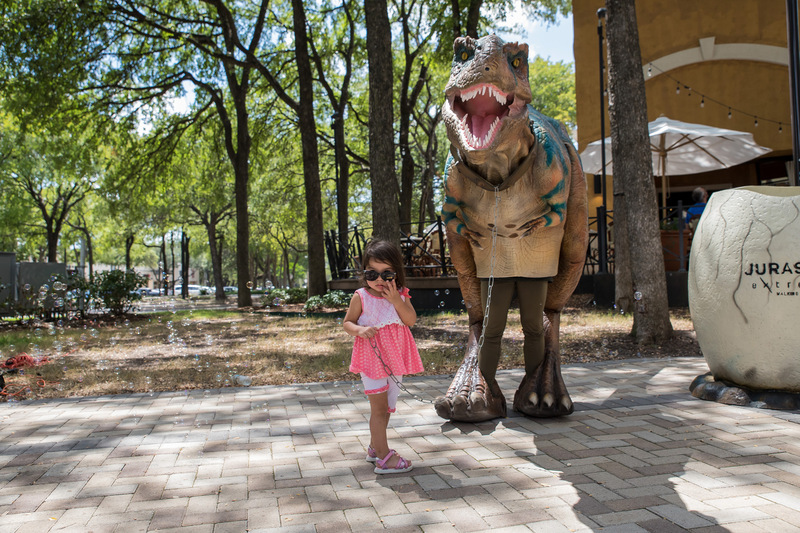 While the kids got some great pics, Plaza Paseo had a raffle filled with great prizes being handed out and even Ramsey was hoping to win! 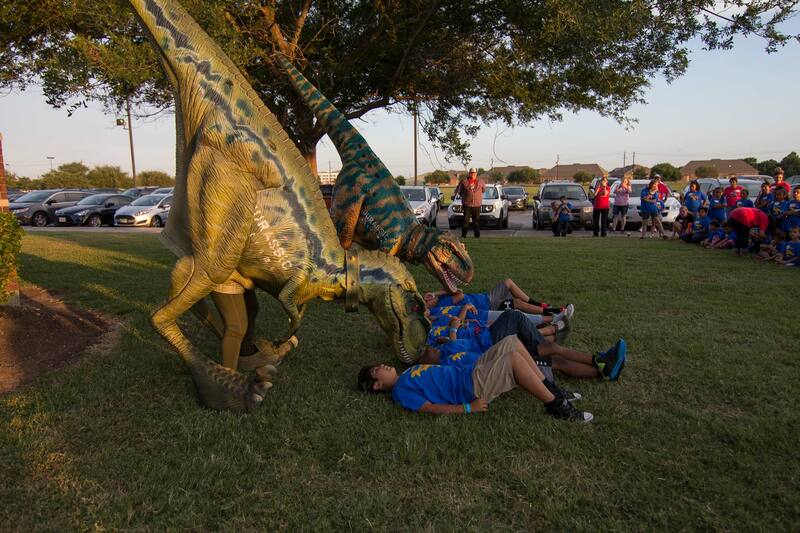 They always love to see us arrive and hate to see us go, but lucky for us we’ll be coming back soon.